I feel like I haven’t done one of these in a while. We’ve been lagging at consistently blogging but here you go. We were recently on our way south and as we do so well, we have to stop for spontaneous fun along the way. 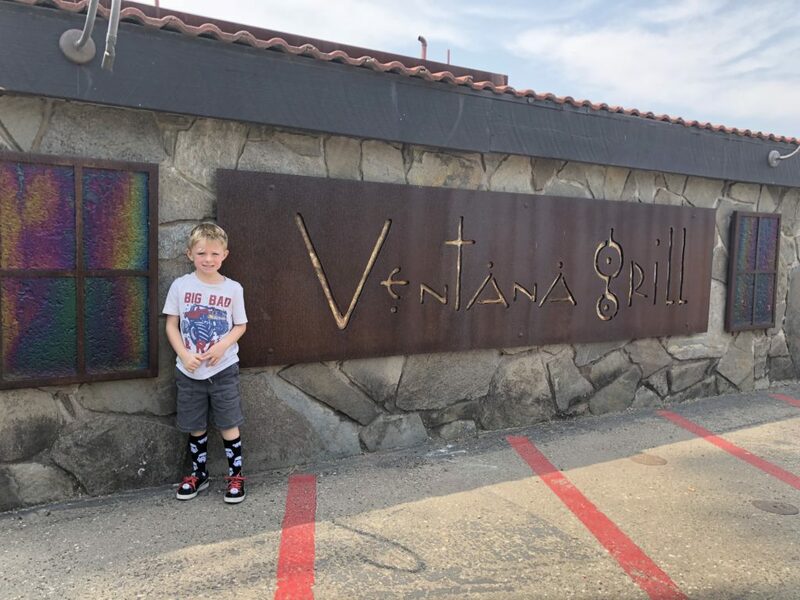 On this road trip we ended up at Ventana Grill. I’ve heard a few people talk about it, mostly my chiropractor, Donald LaCasto (a little plug for him, he’s awesome). Once you get inside the first thing you notice are the amazing views from the cliffs above the Pacific Ocean. Simply breathtaking. That’s one of the amazing things about living on the central coast, those views are everywhere and they NEVER get old. We ordered a few things for the three of us (Sammy boy was with us) to share. It was all good but that chowder with the dipping bread put a smile on my face. I’m going for the bowl next time. For our first visit I was impressed with all of the things you would judge a restaurant on: food, service, and vibe. Trifecta. We’ll definitely be back in when we’re in the Pismo Beach area. Be sure to check them out when you’re traveling the 101 in Pismo!